A friend of mine is approaching the birth of her first book baby. This is as close to a gender surprise most authors will experience, BUT cover reveals are sacred and I am glad to be a part of it! Please go have a look and let her know how many copies you plan on purchasing. 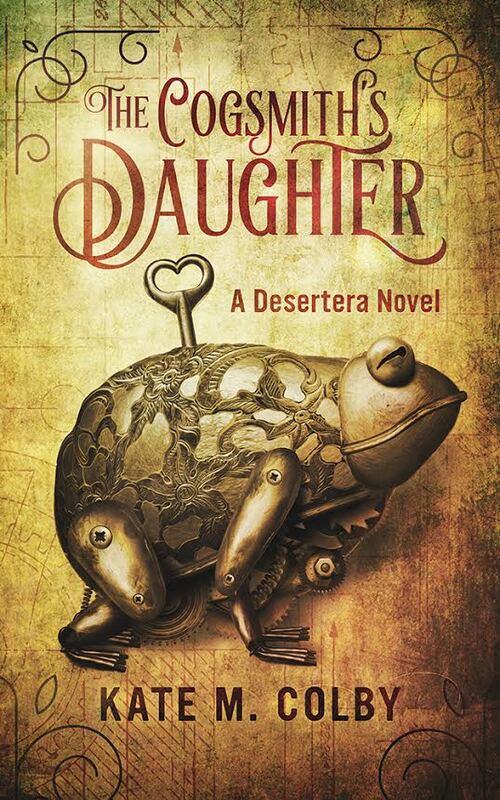 Author Kate M. Colby is thrilled to reveal the cover for her debut novel, The Cogsmith’s Daughter (Desertera #1). Add the novel to your “to-read” list on Goodreads today, and check back on Kate’s website, http://www.KateMColby.com, for more exciting news later this week! Previous postWhat Am I Doing?